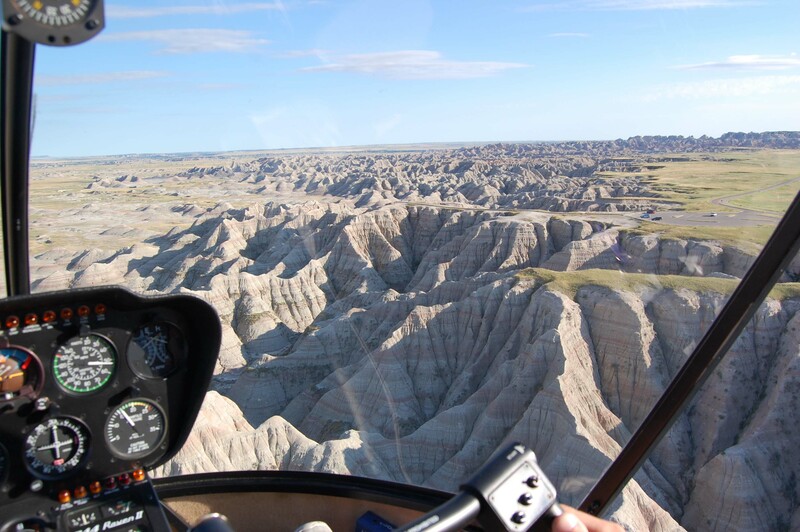 BADLANDS, S.D. 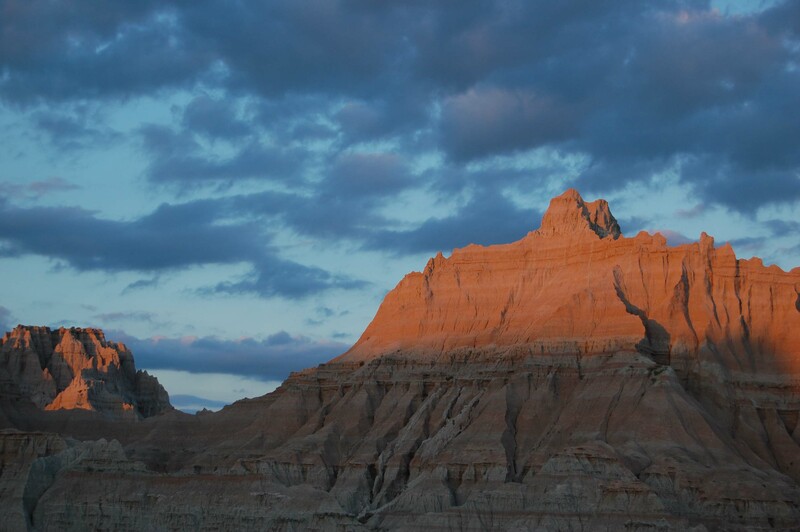 – All South Dakota has to do is be herself. She’s one of the most beautiful states without even trying. Yet she’s also one of the neediest, imploring people to like her with hundreds of billboards like dark mascara on a classically lovely face. Wall Drug! 1800s town! Badlands gift shop! Wall Drug! Pioneer Auto! Ranch Store! Oh, and did we mention Wall Drug! We’ve fallen for Wall Drug twice in five years. It won’t happen again. 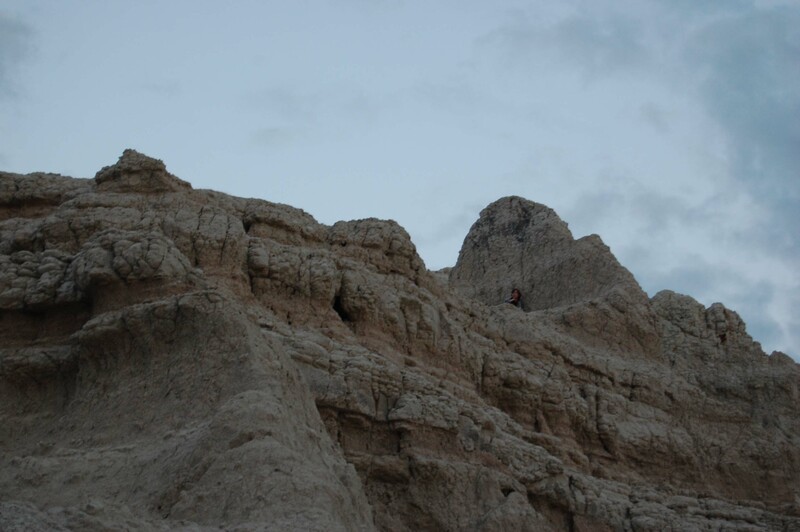 But we hadn’t before experienced the Badlands, South Dakota’s apocalyptic dream. They rise out of the Prairie like the steel teeth of a bear trap, white against a colourless sky. 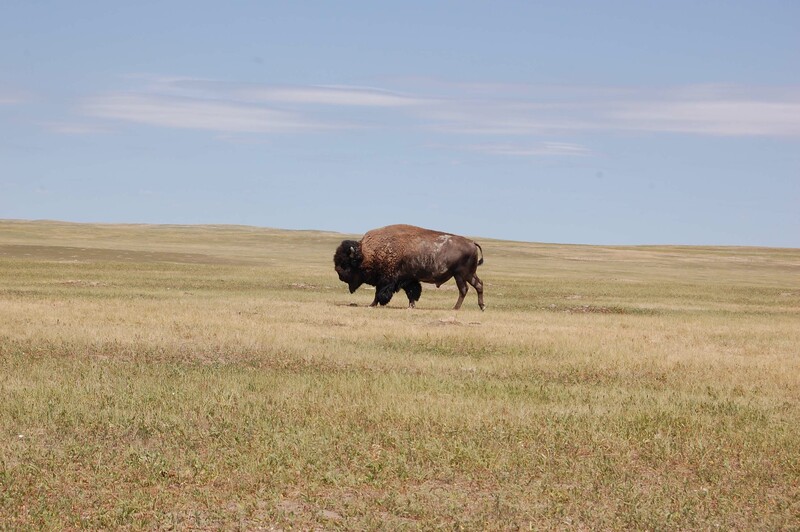 From even five miles away it is impossible to know the enormity of the Badlands – “242,756 acres of sharply eroded buttes, pinnacles, and spires blended with the largest undisturbed mixed grass prairie in the United States,” according to Wikipedia. Time and distance act strangely on the Prairie, so the formations grow before you, more and more ominous until suddenly you are surrounded by giant white sandcastles, boxed in when moments before there was nothing but field and sky. It takes several minutes of slow driving to become adjusted to the new wilderness, to begin to see faces and creatures in the rock, to marvel at the hardy brush and black-eyed Susans that somehow find root in this alien landscape. By suppertime, we had decided to spend the night. By sunset, Trevor had climbed one of the mountains to watch the sun slip behind the rock backdrop. By nightfall, we were sitting, our backs cold, around a campfire burning in a metal pot on the plain with a million stars above us the soundtrack of a thousand nightbugs. Melani and the baby wandered to the road to see more sky – Trev and I saw perfect white shooting stars above the fire. I wrapped his blanket around me and hiked up the deep ditch to the road. And there was the moon, rising, a giant orange ball at eye level, making her slow way up to the stars. Badlands National Park gets the ever-elusive five stroller wheels (only Fundy has that high a rating from us) for its incredible beauty, geological uniqueness, conservation efforts, ease of use and wow factor. A pass is $15 for a car for seven days, or $80 for a yearly pass to all of America’s national parks. A bargain no matter how you spin it.